Are you interested in getting started in orienteering or improving your skills? Are you a teacher or youth leader hoping to learn how to introduce orienteering to young people? 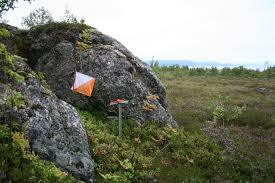 Perhaps, you are already experienced in orienteering and looking to plan and organize orienteering events. These training sessions have designed to suit participants of a variety of experience and skill levels. See details below. To be considered for any of these training opportunities, please indicate your interest by emailing Linda Hildebrandt at hildi@shaw.ca. Sessions will be organized once a sufficient number of interested participants have been identified. Dates and further details will be posted when available. This session will include several practical exercises to introduce new participants to map reading and simple route choice. Participants are encouraged to follow-up their training by attending a Victoria Orienteering club event. Note: all Victoria Orienteering Club events will provide some quick beginner instructions at the start of each event. Beginners, regardless of experience level, are always welcome at our events. This session is intended to provide you with a more thorough overview, a practice session and more individualized instruction if you are just getting started in orienteering. This session will combine some theory exercises along with several practical exercises to practice compass use, bearings, pacing and advanced orienteering techniques. This session includes a classroom theory session followed by a practical session to provide participants with an opportunity to practice course design, course setting and running a basic orienteering activity as a confirmation activity. This course is theory-based and will be followed up with a practicum phase, which will require the participant to course plan, organize and plan a local club event. Graduates of this course will receive a certification endorsed by the NCCP and Orienteering Canada.